CWRA and CLA ought not be only tools for assessing educational effectiveness; they must also be tools for informing improved learning of what they assess, and ultimately, we need to close the gap and link them back to effective teaching for effective learning of higher order thinking skills. It is an empty exercise to assess student learning without providing a means to adjust teaching in response to deficiencies revealed through the information gleaned from that assessments. So argues Marc Chun, director of education for the CWRA and CLA host, Council for Aid to Education (CAE), in an article published in Change magazine: Taking Teaching to Performance Task: Linking Pedagogical and Assessment Practices. (Unfortunately, the article is behind a pay-wall, but someone posted it here). Marc runs a program called CLA in the Classroom, and offers workshops around the country. The critical thing for Marc and his team is to encourage institutions using the Collegiate Learning Assessment not just to measure overall performance, but to connected with teaching. Assessment should align with student learning objectives so that what faculty are teaching maps directly into what is being assessed. However, a way to achieve even closer alignment is to seek convergence between pedagogical practice and assessment tools: in other words, for an institution to teach and assess in the same way. Teaching and assessment– so often seen at odds- instead become coterminous. To make the learning even more powerful, this can also be done so that both the teaching and assessment mimic how the skills or knowledge will eventually be used. arriving at informed judgments and decisions. Chun takes us into some background for the Performance Task approach, drawing upon Dewey’s insistence we need education to become life itself, and citing the parallels PT shares with problem based and inquiry based learning approaches. I think it would have been good for Chun to reference also the influence of Grant Wiggins and his understanding by design– backwards design approach, which is very parallel, to this reader’s eyes. 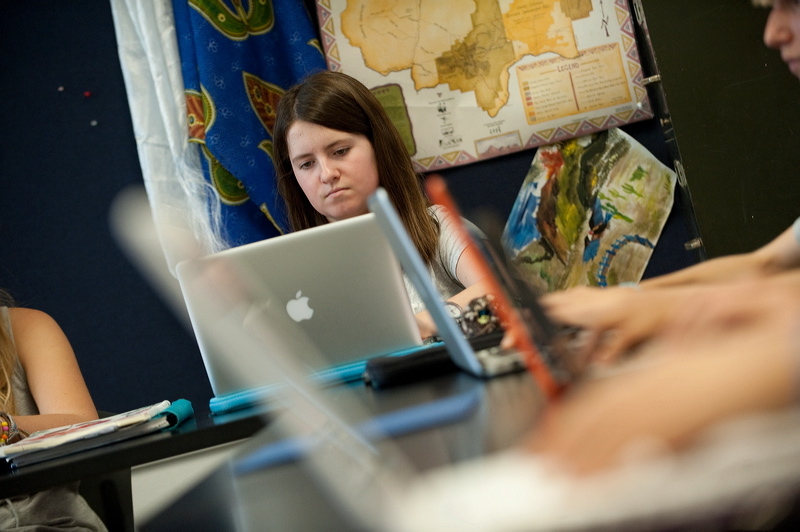 Assessment tasks that align with these active learning strategies (called ‘authentic assessments’) present students with a complex, real-world challenge in which the scenario, role, process, and product are all authentic; they must then demonstrate that they have the skills and knowledge to complete the task. Thus students actively participate in the problem-solving exercise rather than passively selecting answers– which runs counter to the assumption that if students do well on a multiple-choice test that focuses solely on content, they will know how to use the information in a real-world context. In a conventional classroom, a test is used after the teaching has been completed to determine how much of the content students have retained. But a performance task can simultaneously facilitate student learning and measure demonstrated ability. Thus teaching, learning, and assessment all take place as the student performs the task. Here at 21k12blog, I seek to promote a consistent and interconnected approach: content should be learned not by receiving delivery of subject matter but by the application of reasoned thinking and analysis to the subject matter. Students should be active, not passive, in the classrooms, solving complex problems. None of this is new: learning by case study has long been the learning approach in both business school and in some med. schools. Reading Chun is so exciting because he advances pedagogical practice in his deliberative, even meticulous, explanations of how performance tasks can be designed and implemented in the classroom. I hope it is OK to quote at length from Chun about the qualities necessary in effective Performance Task Assessment. Chun is bringing this to the world, and I want to help share. Real-world scenario: Students assume roles in a scenario that is based in the “real world” and contains the types of problems they might need to solve in the future. The more the students can imagine themselves in the scenario, the more engaged they are likely to be. The scenario might directly relate to their likely careers (e.g., students in a journalism program might be asked to write a magazine article). They may be asked to apply course knowledge and skills outside of a career (e.g., students who have taken biology might advise a friend with cancer). Or they may need to apply their knowledge in areas unrelated to avocation and in a way that represents a significant transfer of knowledge and skills (e.g., by voting in an election or selecting day care for their children). Authentic, complex process: The scenario reflects the complexity and ambiguity of real-world challenges, where there might not be a right or wrong answer, where solutions might not be obvious or given, where information might be conflicting or partial, and where there might be competing frameworks or positions from which to view the situation. To complete the task, students go through aprocess that approximates what they would do if they were actually facing that situation. Higher-order thinking: The task requires students to engage in critical thinking, analytic reasoning, and problemsolving. The focus is on analyzing, synthesizing, and applying evidence in order to arrive at a judgment or decision. There may be cognitive conflict, in that the solution may cause other problems. There often is an element of creativity involved as well. Authentic performance: The “product” the students create reflects what someone assuming that role would produce: a memo, presentation, or other write-up. So, unless the scenario involves taking on the role of a graduate student, it is unlikely that it will be an academic paper. Transparent evaluation criteria: The learning outcomes drive the creation of the task. They and the evaluation criteria and rubrics are made clear to students, in part so they can evaluate their own work and in part so they can get diagnostic feedback on their strengths and weaknesses.The evaluation is typically criterion referenced (rather than norm referenced). I’m eager to experiment: can I effectively use these helpful guidelines and parameters to facilitate educators in designing PTAs? I want to expand the pool of PTA’s available (is there a wiki to which these can be contributed? should I start one? ), and to stimulate us as educators to think more thoroughly about how we can more consistently use this approach more widely in the development of our students’ higher order thinking throughout our curriculum? Thank you Marc for this really important and exciting article! Let’s take teaching to the task!